Stop Kids Impaired Driving (SKID) is a traffic safety education program coordinated by SKID staff and your local first responders. The program is designed to educate young people about the tragic consequences of impaired and distracted driving. Tim Moore was a Washington County Sheriff’s Office deputy who is credited with starting and cultivating the SKID Program (then called SLAM – Simulated Live Action Melodrama) to the community he served. Tim passed away in 2013. Tim and I worked closely together with the SKID Program and the last few years of his life he did all the scheduling and some of the coordinating of events while he was at home. My job was to go out in the field to take care of the schools, the first responders and to make the SKID Program run smoothly. I was very honored to known and have work such an amazing man and close friend. 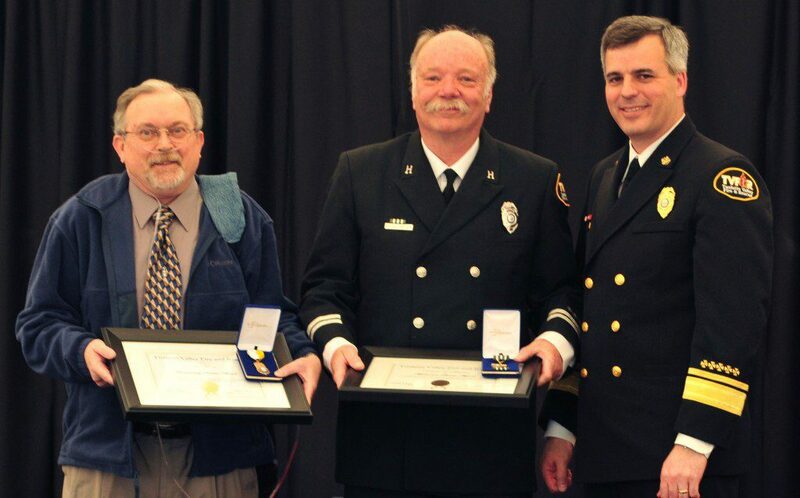 Tim Moore (far left) receiving recognition from the Tualatin Valley Fire & Rescue for his committment to the SKID Program. Ready To Bring SKID To Your School?